KingNeed is the leading GPS Tracker manufacturer in China, with a 19 years history. In the 19 years, they have been committed to several electronic areas including battery charger, Children’s education, and GPS Tracker products. 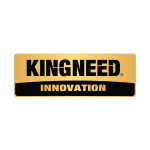 And for the recent years, KingNeed has contributed themselves into the GPS tracking industry. The company is headquartered in Guangdong, China.